My daughter, Bronwyn is a missionary in Thailand. She and her Thai husband, Noiy run a YWAM ( Youth with a Mission) base in Ratchaburi. This is a medium size town about 90 minutes out of Bangkok. I arrived here a week ago to await the birth of their second child. Daniel, their first born is 17 months old. It is so tough to have your grandchildren on another continent and not get special time with them on a regular basis. I know that many South African grandparents face this same heartache. 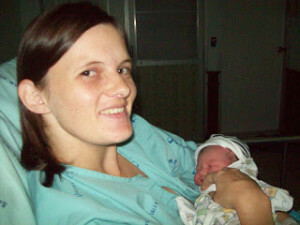 I was not able to be at the birth for Daniel, so was excited about being here for the birth of the second baby. 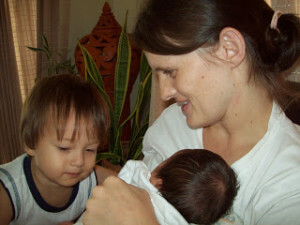 Bronwyn and Noiy decided that my role would be to stay with her at the hospital and Noiy would stay at home with Daniel. 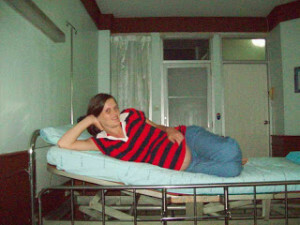 In government hospitals in Thailand, all moms sign that they will have someone with them to help as the hospital does none of the care of patient or baby for the duration of the stay. Bronwyn was having a caesarean and we needed to book in the night before to make sure we had one of the 16 private rooms. 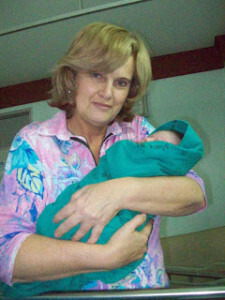 The alternative was to be in the general ward with 50 other moms, babies ,their helpers and visitors. In the afternoon before going to the hospital Bronwyn and I decided to treat ourselves to a trip to the hairdresser. At R15.00 for a wash and blow dry it is a treat as the head massage is great and of course the price is a steal. Once Daniel was asleep Bronwyn and I drove to the hospital. We went prepared with masks, food and all the normal baby equipment and clothing. We walk through the out patients section to get to the ward. This is like South African hospitals. Over crowded and full of all kinds of disease including swine flu. Local Thais pay R8.00 for any hospital treatment including a hospital stay. As Bronwyn is not Thai she pays private rates. This equated to R3000.00 for the private room, all medication and the caesarean. The Doctor charges R 750 for the entire confinement including the caesarean. It was intimidating to be in a hospital where no-one speaks English and to be left on my own once Bronwyn had been wheeled into the theatre. I was lucky that the head delivery nurse who had gone off duty decided to stay and wait for the birth. She was even kind enough to take pictures for Bronwyn and have them printed and brought them to the room the next day. She was an answer to prayer for me as she came and communicated in very broken English throughout the time in the theatre. She brought Naomi out of the theatre and allowed me to see her before she went to be checked in the recovery room. She was all wrapped up in green. Naomi means beautiful and gentle. Two hours later Bronwyn and Naomi were back in the room and the fun started. It takes one back to the time when my own children were born. The hours go past and all one seems to do is feed, burp and change these little creatures. Bronwyn had a bed that could be adjusted for feeds and I seemed to find myself winding beds half asleep, all night long. Every now and then the nurse would barge in, put the lights on (just as we had managed to get to sleep ) and come to take blood pressure and temperatures. Food arrived for Bronwyn three times a day. As she could not eat for the first 48 hours, I had the joy of being offered this food… except I am not good with rice porridge and soup with funny things floating in it for breakfast. We had Thai TV, an air conditioner (thank goodness) and a kettle and fridge in the room. Each morning at nine the babies get wheeled to the bathing area. The babies’ line up in a production line with three nurses each doing a piece of the action. The baby comes wheeled out the other side all beautifully wrapped in a towel and ready for the rest of the day at leisure in their little manger. Visitors are allowed in at anytime. 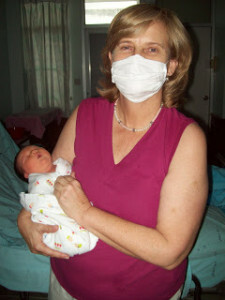 As Bronwyn looks different to most of the other moms in the hospital we would often find strangers peering through the door at her in the bed. In fact the one day some of the visitors from the next room decided to come and sit in her room. Very strange! 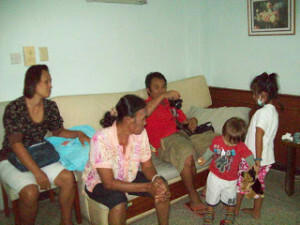 Noiy and Daniel arrived to visit about 3 hours after the birth together with Naomi’s Thai granny and aunt. Every day there were visitors bearing gifts of milk, juice and some goodies for the baby? It is customary to bring liquid to help the mom get going with the breast feeding. It was such a privilege to spend these four days with my daughter and new grandchild. We had lots of time to chat, I had time to bond with Naomi and get to know her better than most Grandmothers do at this early stage. I will be here for ten days after the hospital visit to help as well with the home adjustments. Daniel is proving to go from loving brother to wanting to get his 5 day old sister to play with him. It is a joy to watch this bonding process and I have no doubt that very soon the two little ones will be great friends. He will be there to look after his little sister, just like my son looked after Bronwyn. Once I leave with a mixture of joy and sadness, I will take many happy memories with me. I am grateful for technology and webcams and will continue to watch the process via technology, facebook and skype calls. I encourage any grandparent that has children outside of South Africa to use technology and creativity to keep the family bond and branding alive.